“A relic of the True Cross is a Eucharistic Presence, it is drenched in the Blood of Christ hence must be treated exactly the same as the Blessed Sacrament. 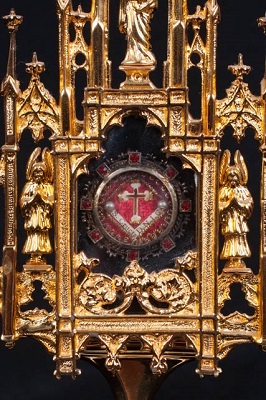 According to pre Vatican II norms on Sacred Relics, most of which have not been abrogated by VII reforms, the Relic of the True Cross deserves hyperdulia. Latria is only permitted for the Blessed Sacrament consecrated in Holy Mass. That said, one must genuflect on knee before a Relic of the True Cross exposed for veneration. The Relic must have two lighted white candles on either side when exposed. On Good Friday, the Relic may be exposed in Adoration until the Easter Vigil. 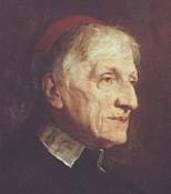 When carried for exposition or in procession, the Relic of the True Cross must be held by the clergy with a red humeral veil. 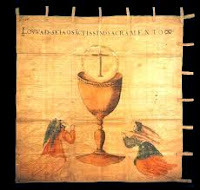 If the Relic is carried in a formal outdoor procession, it must be carried under a canopy and given the same honor as a Eucharistic procession. The sisters called upon Windsor’s own Michel Ozorak to produce Chant Sheets for the occasion. However, they didn’t just print what he sent them. 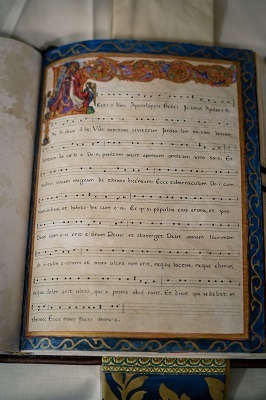 A sister actually transposed his Chant Sheets into calligraphy, creating quite a work of art. 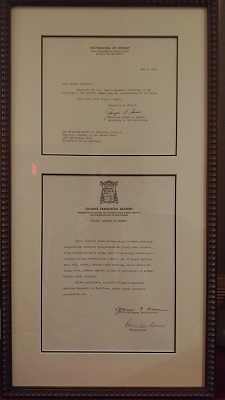 While we’re on the subject of dedication of a church, the Academy of the Sacred Heart recently put up for display in their chapel sacristy the certificate of blessing of the chapel and consecration of its altar. 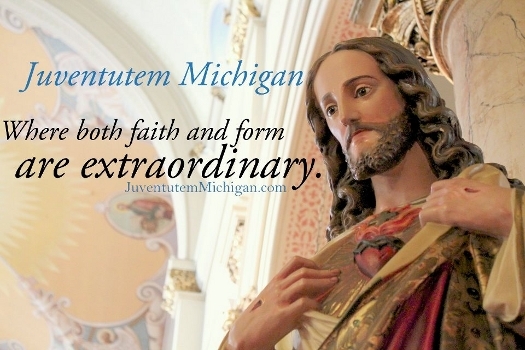 Dated May 8, 1963, written in Latin, and signed by Detroit’s then-Archbishop John Dearden, the certificate is a reminder of the solemnity and formality with which such events used to be conducted and recorded.